The presence of cardiovascular conditions is increasing, and many people are dying from these conditions. One of the highest risks for getting a cardiovascular condition is clogged arteries. Arteries are known as blood vessels that are responsible for carrying nutrients and oxygen from the heart to the other body parts. Healthy arteries are elastic, flexible, strong, and have no deposits. However, when cholesterol, fat as well as other substances accumulate in your arteries, they may become clogged and hardened. Actually, this condition can cause reduced blood flow through your arteries. Clogged arteries develop over time. Healthy diet and lifestyle can help prevent the development of this health condition. Carotid arteries: It is a condition when you have blocked arteries in the brain. Symptoms of this condition include sudden weakness, breathing problems, confusion, blurry vision, severe headaches, paralysis, loss of consciousness, trouble with speech and walking, unexplained falls, dizziness, and loss of balance or coordination. 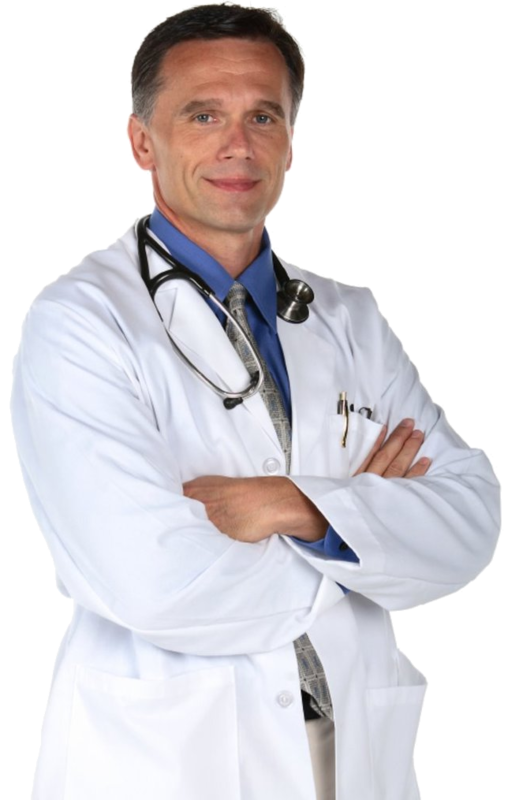 Coronary arteries: It is a condition when you have clogged arteries in the heart. Some symptoms that patients can experience are chest pain, heartbeat problems, angina, and shortness of breath. Peripheral arteries: This disease can result from clogged arteries in the legs, arms, and pelvis. Some symptoms of this disease are pain or numbness. Renal arteries: This disease will develop from blocked arteries in the kidneys. There is no symptom early in this kidney disease; nonetheless, when this condition worsens, it can cause nausea, loss of appetite, fatigue, itchiness or numbness, concentration problems, swelling in the hands or feet, high blood pressure, and kidney failure. Read 32 Natural Home Remedies for Kidney Infection & Pain to discover some of the best natural treatments for kidney infection disease that you can apply with ease at home. 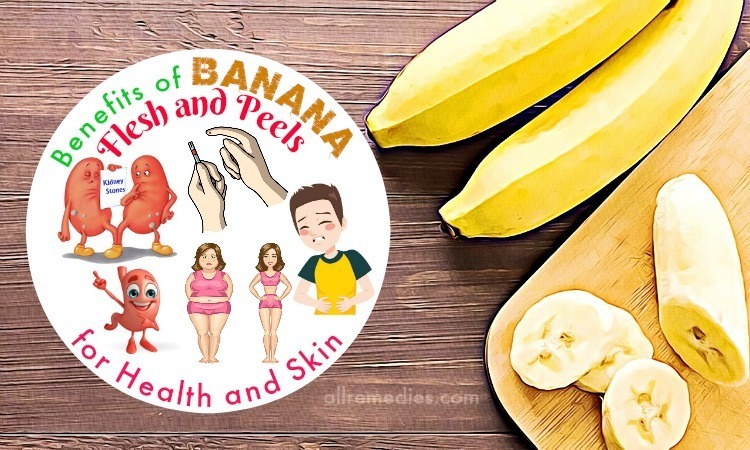 Learn the list of 23 Natural Home Remedies for Arthritis in Hands to discover some of the best natural treatments for arthritis in both hands and legs, so check it out! 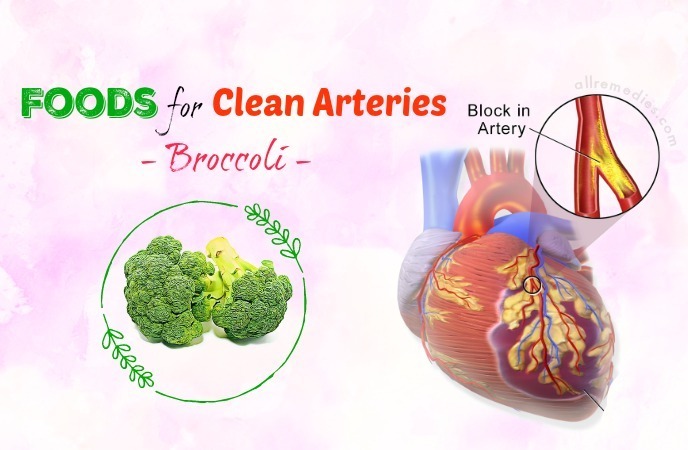 In this article, we will show you some of the best foods for clean arteries you should eat daily to have a healthy heart. If you want to know more about superfoods that can help you improve your heart health and keep your arteries clean and healthy, keep your eyes on this interesting article right now. There are some heart-healthy foods that you should try to consume more. Here are the top 36 foods that you should eat daily for clean arteries. Pomegranates are rich in antioxidants that can aid to fight free radicals. Also, they help in eliminating fatty deposits in your arteries, thus preventing some health problems like atherosclerosis. Moreover, this fruit also encourages the production of nitric oxide to keep your blood flowing and your arteries open. This helps prevent the buildup of plaque and blood clots in your arteries. 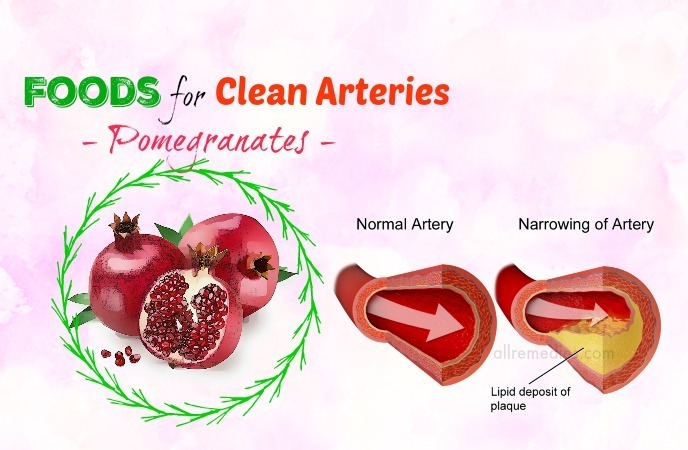 According to a study, patients suffering from carotid artery stenosis who consumed pomegranate juice for about 3 years reported reduced blood pressure as well as low-density lipoprotein oxidation. Another study suggests that pomegranate extract contains athero-protective properties that can reduce inflammation and oxidative stress in the vessel walls. To clean your arteries, you just need to consume 1-2 fresh pomegranates on a daily basis. Also, you can drink a glass of fresh pomegranate juice every day. Asparagus is known as one of the best foods for clean arteries that everyone can take. It can help you lower blood pressure and simultaneously prevent blood clots.The vitamin B6 found in asparagus can help lower an amino acid called homocysteine associated with heart disease. A study shows that increased homocysteine levels can lead to a higher risk of blood clots in the veins and arteries. To reduce the increased levels, asparagus can be helpful due to its high contents of vitamins B6, B12, and folic acid. Moreover, asparagus also encourages the production of glutathione, which helps deal with inflammation and simultaneously prevent damaging oxidation causing clogged arteries. Addition to this, the vitamin K found in asparagus can help in preventing the hardening of the arteries. Simply, consume this vegetable as a side dish or appetizer as much as possible. Another one among foods for clean arteries you should eat every day is garlic. Actually, garlic has a high content of antioxidants that help fight against free radicals, making it a great ingredient in preventing blocked arteries and heart problems. The regular consumption of garlic can help reduce the LDL cholesterol level in the blood. Also, it can widen blood vessels, increase blood circulation and simultaneously prevent the hardening of an aorta. Simply, consume 1-2 raw garlic cloves when you have an empty stomach every morning. You can add garlic to your stews, soups, salad dressings, and casseroles. This is another one of the best foods for clean arteries you should eat daily. Avocado has high contents of healthy fats and other essential nutrients that help improve blood cholesterol by increasing HDL levels and lowering LDL levels. HDL is the good cholesterol, which can help clean arteries. A study shows that the monounsaturated fatty acids found in avocados can be helpful for mild hyper-cholesterolemic patients. Addition to this, vitamin E found in avocados can prevent cholesterol oxidization. 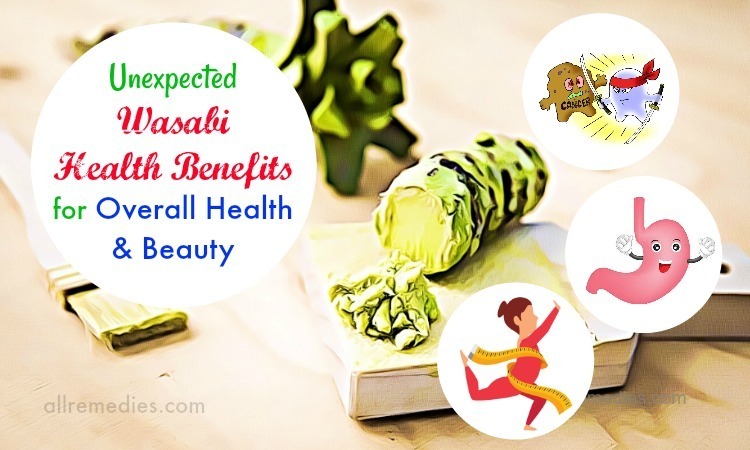 Also, they have folate and potassium that help in lowering blood pressure. Try to add ½ avocado to your daily diet. Even, you can use avocado as a substitute for cream or butter on your bread and toast. When you are looking for foods for clean arteries you should eat daily, you should not skip out ginger. Actually, ginger has powerful anti-inflammatory & anti-oxidative properties. Also, ginger has heart-protective compounds that can help prevent the buildup of plaque and simultaneously unclog arteries by lowering the cholesterol levels. A study shows that ginger extract can help reduce triglycerides and cholesterol in the blood. This tasty green leafy vegetable offers many health benefits and it is also known as one of the best foods for clean arteries you should eat every day for good. Spinach is rich in nitric oxide, which can make arteries resist contraction and blood coagulation, hence reducing the risk of heart attacks and strokes. Besides, spinach has high contents of vitamins A and C, so it can help prevent bad cholesterol from sticking to the arterial walls, hence reducing the risk of developing atherosclerosis. Plus, spinach is also rich in folic acid and potassium, which help you fight against high blood pressure and cholesterol levels. Consume more than ½ cup of spinach on a daily basis. You can add this green vegetable to soups, salads, vegetable juice, or green smoothie. When it comes to foods for clean arteries people should try to eat every day, something spicy like cayenne pepper can also help in unclogging your arteries. The compound called capsaicin present in cayenne pepper can aid to reduce “bad” cholesterol in the blood, thus reducing the risks of stroke and heart attack and increasing blood circulation. Green tea has powerful antioxidants that can help clean your arteries. Actually, the antioxidants are also important for improving the heart health. According to a study, the intake of green tea is associated with a lower risk of coronary artery disease. Another study shows that catechins in green tea play a vital part in the normal vascular function. Therefore, green tea can help prevent vascular diseases. Drinking 2- 3 cups of green tea every day can help reduce arterial blockage. Cinnamon can aid to reduce the risk factors linked to cardiovascular and heart disease. A study found that consuming cinnamon daily can help lower LDL cholesterol, glucose, triglycerides and total cholesterol in people with type 2 diabetes. Actually, cinnamon is one of the most amazing foods for clean arteries you should eat every day. So, you should try to consume more cinnamon if you want to improve your heart health. This vegetable is good for your heart because it is high in sulforaphane, which prevents your arteries from becoming damaged and inflamed. According to a study about how broccoli protects arteries , broccoli is also high in vitamin K, which aids to prevent calcium from damaging your arteries. Plus, the fiber found in broccoli can also help in lowering cholesterol levels and blood pressure. According to a study, the daily intake of broccoli can prevent clogged and blocked arteries. Also, it shows that sulforaphane-rich broccoli can help prevent plaque from forming in the arteries. Another study suggests that regular intake of broccoli can help reduce the risks of cardiovascular disease. Consume 2- 3 servings of broccoli every week if you want to get clean and healthy arteries. Drinking lemon juice every morning is good for your heart. Actually, lemon has been known to lower the blood cholesterol levels and prevent oxidative damage. Moreover, lemon is also a great food source of vitamin C and high dosage of vitamin C is found to improve the health of arteries, increase high-density lipoprotein, lower total cholesterol and reduce inflammation. In fact, lemon is one of the heart-healthy foods for clean arteries people should not skip out at all costs. Chia seeds are a great source of omega 3s and fiber, making them one of the most heart-friendly foods for clean arteries people should not miss. Eating chia seeds can help you lower bad cholesterol, control blood pressure and simultaneously clear the arteries. 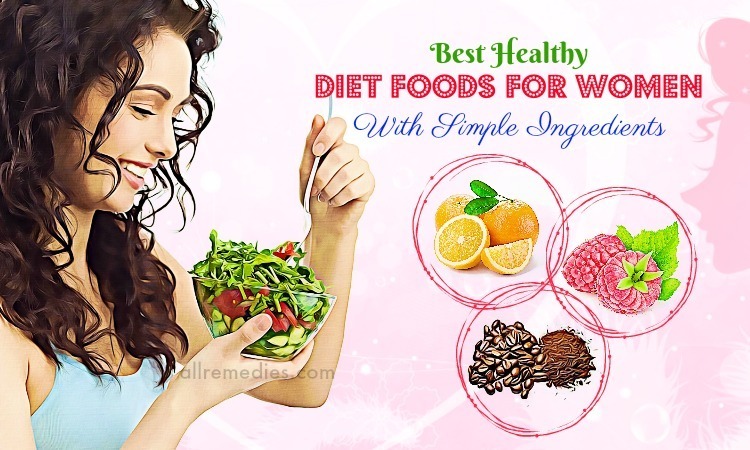 This delicious food can be consumed in some different ways. Add 1 tbsp. of chia seeds to 3 tbsp. of water. Allow it to sit on for half an hour. Use this mixture in your smoothies or other dishes. Sprinkle some dry chia seeds on oatmeal, yogurt or salads. Note: Chia seeds absorb a large amount of water, so you should stay hydrated when consuming them. Flaxseed is known as a great food for heart health and it is also known as one of the great foods for clean arteries you can make use every day. 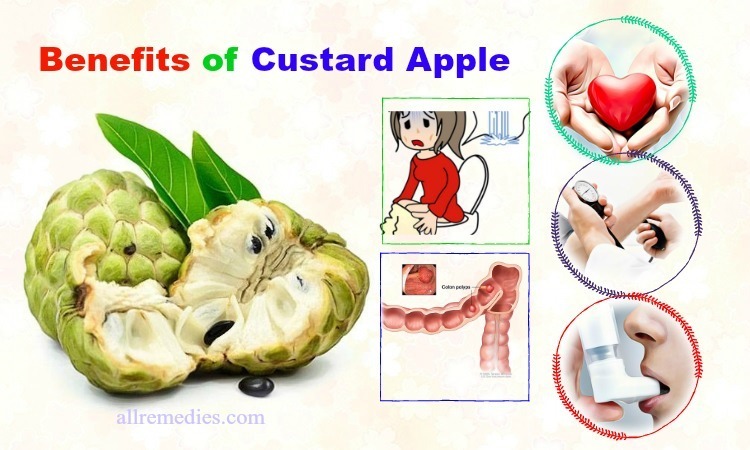 It can help in unclogging arteries thanks to its high content of fiber. Also, ground flaxseed has omega-3 acids that can reduce inflammation and blood pressure, thus preventing the arteries from becoming clogged. You should take flaxseed supplementation or add flaxseed to your daily diet. Fermented cabbage has been reported to slow down the atherosclerotic process. A study found that fermented cabbage can help prevent the aortic atherosclerosis development in high-cholesterol-fed rabbits. 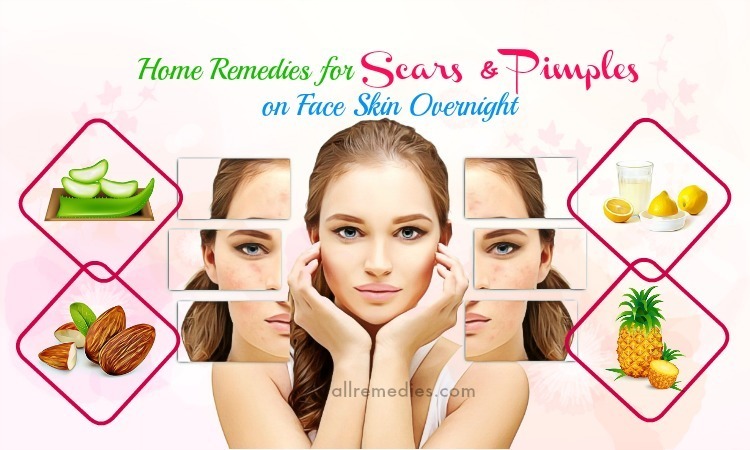 Moreover, fermented cabbage has also proven to reduce toxic chemicals. There are other great foods for clean arteries you should eat daily in this entire article. So, keep reading this article and then try to add fermented cabbage to your diet. Some certain foods that have plant sterols can work to lower cholesterol levels. This is because these plant sterols need cholesterol to work; therefore, they will use up the “bad” cholesterol in your body so it cannot build up. Some sources of plant sterols are milk, fortified margarine, and orange juice. When you are looking for foods for clean arteries to consume every day, you should try to consume more whole grains. Actually, whole grains such as brown rice, whole-wheat bread, and oatmeal contain soluble fiber, which is an essential nutrient for heart health. And if you want to lower your total blood cholesterol levels and reduce the risk of developing heart disease, oatmeal may be one of your best choices. It is not just for your breakfast, you can enjoy whole grains whenever you like. Spirulina is a complete protein that is different from other plant-based protein sources. 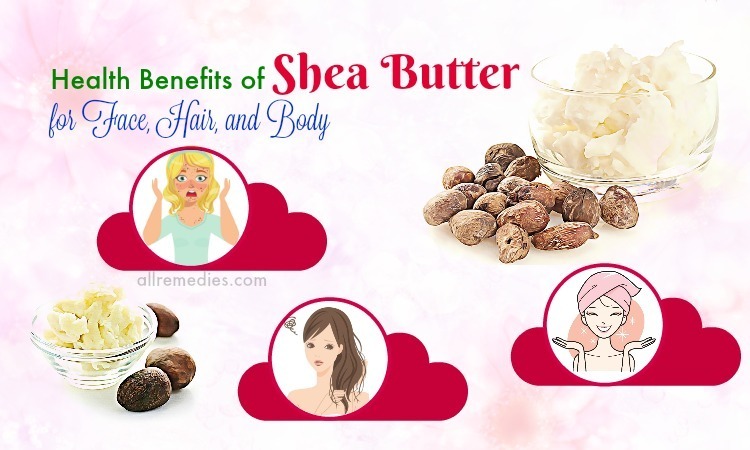 It contains many essential amino acids required by the body to keep it healthy. According to a study , Spirulina also contains alpha-linolenic acid that is well-known for its ability to relieve inflammation in the arteries and improve heart health. Simply, take Spirulina on a daily basis as a supplement or add its powder to some delicious recipes. Seaweed is one of the great foods for clean arteries you should eat daily that we want to mention in this article and want you and our other readers to consume more for good. Seaweed is rich in minerals, carotenoids, vitamins, protein, and antioxidants. The regular intake of seaweed can help in regulating the blood pressure, reducing the level of cholesterol by 5% and clearing the arteries. Blueberries are a great source of potassium, making it one of the best foods for clean arteries to make use every day for good. If you drink cranberry juice, you can raise healthy cholesterol levels and low dangerous. Consumption of 2 glasses per day has been shown to reduce the risk of heart attack by up to 40%. Nuts contain healthy fats that are good for heart health. Addition to this, nuts have alpha-linoleic acid, mono-saturated fats, and omega-3 fatty acids. These substances work to reduce“bad” cholesterol levels in your body. Almonds and walnuts are some great food choices for you and just 1/2 handful of nuts per day can provide you with enough nutrients. 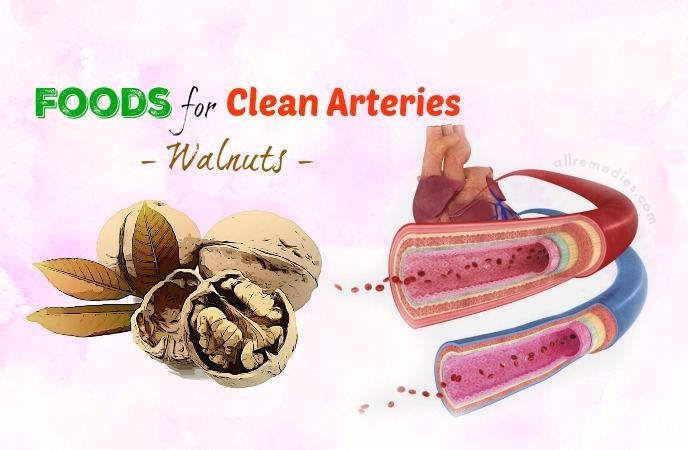 Walnuts are another great one on the list of foods for clean arteries that can help people a lot. Being a great source of alpha-linolenic acid, walnuts can help improve blood-pressure, relieve inflammation, and clean the arteries. So, if you are looking for some great foods for clean arteries to consume every day, you should consider consuming more walnuts. A study found that the elderly who regularly consumed olive oil were 40% less likely to suffer from a stroke if compared to those who have never used olive oil. You just need to use some olive oil in lieu of butter or add a little to your pasta or salad to reap all of its health benefits.However, when shopping for olive oil, you should avoid the lowest-priced options because they often contain less-healthy oils. Instead, opt for a certified 100% pure virgin olive oil. According to a study about health benefits of turmeric, this spice contains a compound called curcumin that has antioxidant & anti-inflammatory properties, so it can help in improving your heart health. Actually, curcumin helps in protecting your cardiovascular system from being damaged by preventing blocked arteries. Moreover, it helps reduce the level of ‘bad’ cholesterol, hence reducing the buildup in the arteries. You can add 1 tsp. of turmeric powder to your warm milk and then drink it 1- 2 times per day. Alternatively, you can take 400- 600mg of curcumin supplements, 3 times per day. Nonetheless, consult your doctor before you take any supplements. Fatty fish such as herring, mackerel, salmon, and tuna are packed with omega-3 fatty acids. Consuming fish twice a week can be effective in lowering the risk of getting heart disease by lowering triglyceride levels, relieving inflammation and boosting your HDL levels. As a result, try any of these delicious fish recipes for your dinner tonight. Fatty fish is one of the heart-healthy foods for clean arteries you should eat on a daily basis, so you should try to add more fatty fish to your daily diet. Sesame seeds can help in unclogging blocked arteries. Studies show that these sesame seeds can help prevent the development of atherosclerosis. 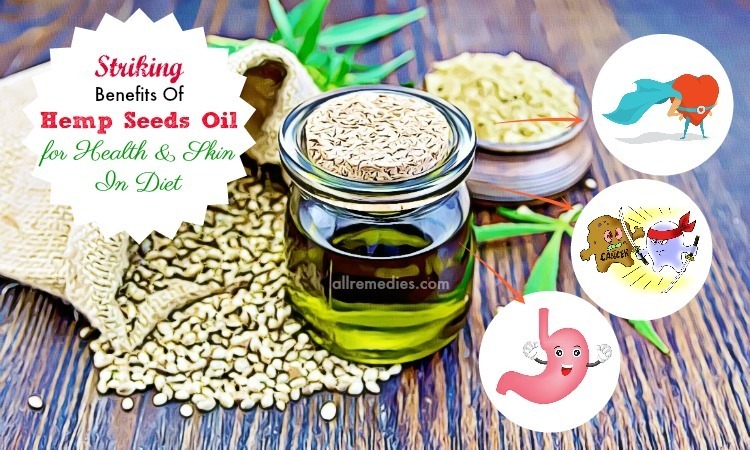 A study published in 2006 reported that the fatty acids found in sesame oil could help reduce the triglycerides and “bad” cholesterol levels. Tomatoes contain lycopene, which can aid to decrease the triglycerides and LDL cholesterol from the bloodstream. Addition to this, tomatoes are also rich in fiber, so they can help in clearing blockages from the arteries. Do you want to know other great foods for clean arteries to eat every day? Keep reading this entire article and then try to add these tomatoes to your daily diet for good. Apart from being rich in fiber, beans also have a high content of folic acid. 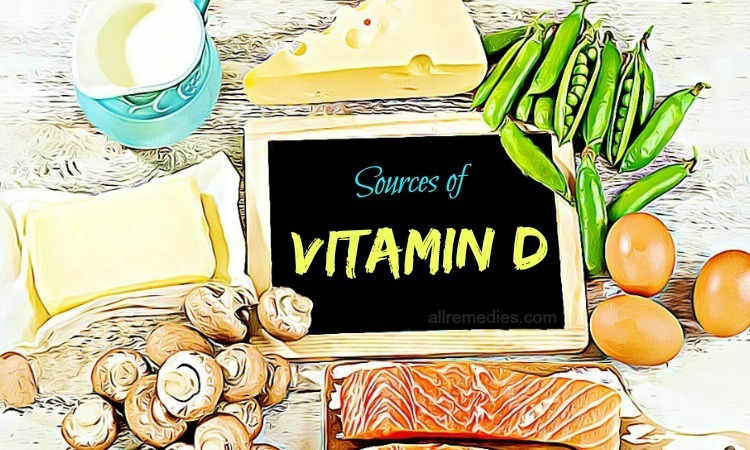 We all know that folic acid can prevent the arteries from getting blocked. Therefore, consuming beans can help lower the risk of developing cholesterol deposits that may cause clogging the arteries. So, if you are looking for foods that you should eat for clean arteries, you should not look down beans, yet try to add more of these foods to your diet for good. Grabbing a handful of almonds is a great way to unclog the arteries. This is because almonds are rich in heart-healthy monounsaturated fats, fiber and vitamin E. According to experts, monounsaturated fats can help in lowering the levels of bad cholesterol in the blood and reduce the risks of stroke and heart disease. According to a study , coffee can help improve the heart health and artery function. People who drank 2- 3 cups of coffee daily for about 13 years experienced 20% reduced risk of developing heart disease than those who drank less coffee. Keep in mind that moderation is the key to the health benefits of coffee because coffee is a stimulant that can contribute to an increase in blood pressure. If you drink it too much, it can cause irregular heartbeat, increased blood pressure, causing some serious health problems. 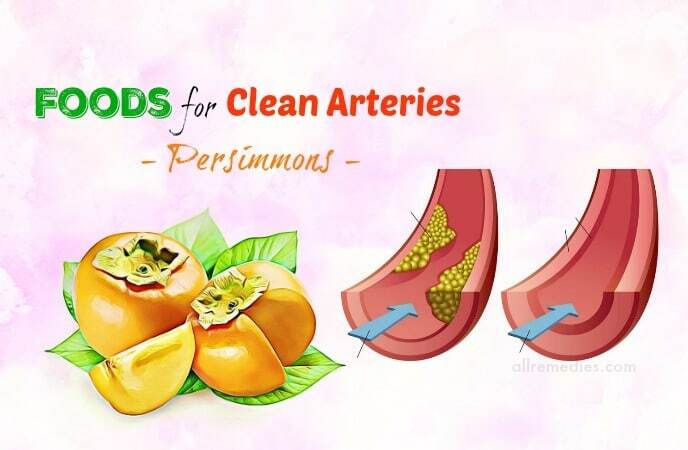 Other foods for clean arteries you should eat daily must include persimmons. Eating a persimmon daily is a great way to keep the arteries clean and healthy. The polyphenols found in persimmons can help lower the LDL cholesterol and triglyceride levels. Persimmons are packed with antioxidants and fiber, both of which helps in regulating blood pressure, keeping the heart healthy and the arteries clear. Another one of the best foods for clean arteries people can make use on a daily basis – coconut oil is very good for heart health. Consume 2-3 tbsp. of coconut oil per day can help you reduce the buildup of plaque in the arteries by supporting the conversion of cholesterol into a form that the body can use. 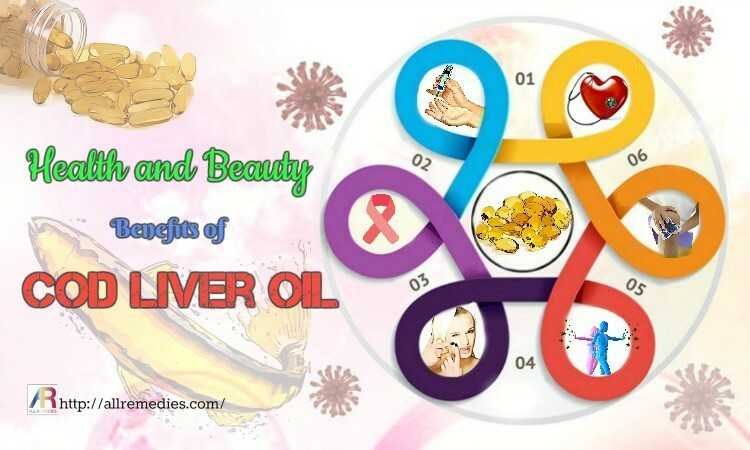 Besides, the high content of lauric acid found in coconut oil can also improve blood coagulation and perform antioxidant effects in the bloodstream, thus reducing the risk of developing heart disease. However, the intake of coconut oil needs to be done in moderation. This is because coconut oil has a high content of medium-chain triglycerides that can help in reducing the clogging in the arteries. Apart from being a diet-friendly food, watermelon can help improve your heart health. A recent study found that people who took a 4,000mg supplement of L-citrulline, which is an amino acid present in watermelon reported to have lower blood pressure in 6 weeks. Researchers found that the amino acid can help the body produce nitric oxide that can widen the blood vessels. Apple is one of the best foods for clean arteries you should not look down. Apples have a type of fiber called pectin, which can help reduce the bad cholesterol levels in the bloodstream. Moreover, apples also have a high content of flavonoids, so they can help reduce the risk of developing heart disease as well as other cardiovascular problems. Plus, the magnesium and potassium in apples can keep the blood pressure under control. A study published in 2013 shows that consuming an apple on a daily basis for 4 weeks can help lower by 40% blood levels in healthy, middle-aged adults. Consume an organic apple daily. Also, consume it with its skin to reap the best health benefits. Another thing you can opt for days to get healthy arteries is cheese. It is so amazing to know that cheese could be effective in reducing your high blood pressure. A recent study found that those who consume3 servings of low-fat cheese a day have reduced blood pressure than those who consume it less. Cranberries are a natural antioxidant-rich food and they can help you improve cardiovascular health by increasing HDL and reducing LDL cholesterol levels. Actually, cranberry juice offers more antioxidant effects than almost all fruit juices. Enjoy 2 servings of organic cranberry juice on a daily basis to improve your heart health. Regular intake of cranberries can help reduce your risk of developing heart disease by 40%. A study published online showed that drinking 2 cups of fresh orange juice daily can help you reduce diastolic blood pressure. Actually, orange juice has a powerful antioxidant that is found to improve your blood vessel function. Also, oranges contain the fiber called pectin  that can help lower cholesterol. Addition to this, vitamin C found in oranges can help improve the arteries without causing any blockages. 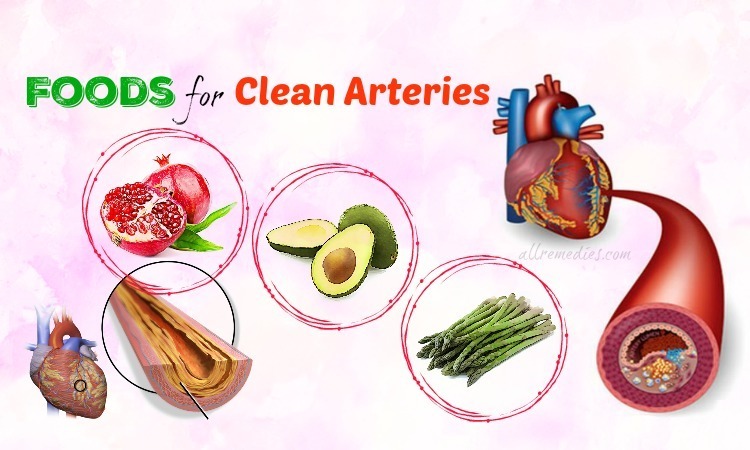 After discovering 36 foods for clean arteries you should eat daily, we hope that you and our other readers of AllRemedies can consider adding one or more of these heart-healthy foods to your daily diet as soon as possible. 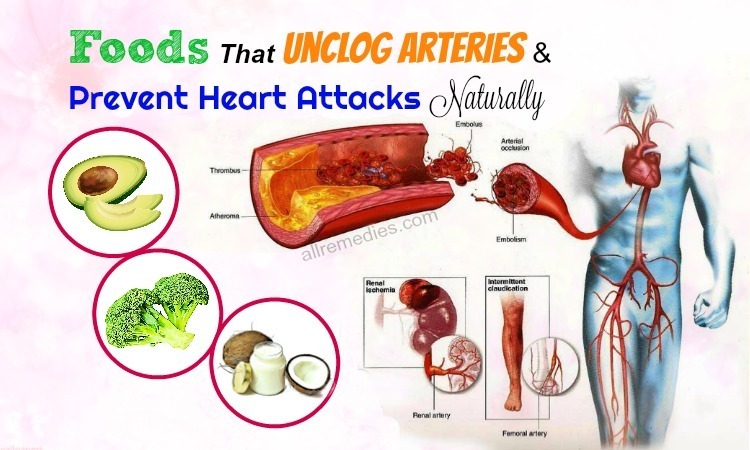 If this list is helpful and can help other people around you who are at higher risks of getting clogged arteries, you should share this list with them as soon as possible. Also, remember to stimulate them to consume more of these foods for good. One more thing, if you know other foods for clean arteries you should eat daily apart from those as we mentioned above, share them with others by leaving your comments in the comment box below.